I wrote this post for the Milk and Honey Organics Blog and wanted to share it here too. 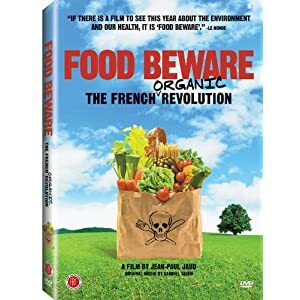 I recently came across a documentary made in France about a community that made the decision to provide organic lunches in all of the schools in their region. They brought in scientists and medical professionals and shared with the community about the benefits of local, organic products and the dangers of chemicals and pesticides in our food and water supplies, directly linking several diseases and cancers to the use of pesticides and other chemicals. Also, within these schools, the children help with an organic garden to teach them how to grow and care for vegetables organically, as well as how to prepare them. Many of the families decide to “go organic” at home too. They found that their food budgets did not increase much; instead, they only bought the things they needed, opting for quality over for quantity, which, in the long run, was also good for their quality of life and health. It’s an intriguing watch! If you’re interested in a clip, there is one available on YouTube. If you would like to watch the entire video, it runs just under 2 hours and can be watched via Instant Queue on Netflix or you can order it on Amazon.com for around $20. Enjoy the beautiful French landscapes, while experiencing another culture and learning more about organic living! “We took our own stance, and are trying, today, to spread it. People throw the cost at us. But you can’t put a price on health. …You don’t listen to the accountant first. You listen first to your conscience. That’s the thing” ~Mayor of the Community that chose to go Organic. “Do you manage to eat completely organic?” “Not everything? 100% is impossible. Well, it’s possible, but…” “I’ve stopped buying things that I don’t need. So that’s one effect.” “I prefer consuming in this way. I don’t feel such a sucker.” “Exactly! And you’re protecting yourself.” “You reali[z]e some things are unnecessary. As we’re in a society which eats too much, it can’t do us any harm to eat a bit less” ~Two mothers in the district. “Farming all arable land according to organic precepts would produce enough to feed mankind” ~FAO Report May 2007. “We have to stop poisoning the earth, the air and our food, with the false excuse that we’re feeding mankind, when in fact we’re starving mankind! This is why we need a total overhaul of the dominant agricultural model to conserve our health and the environment. I assert that we can produce in a different and sustainable way, healthy food in sufficient quantities, with economic performances well superior to industrial methods, if we’d stop replacing peasants [farm workers] with chemical molecules” ~Philippe Desbrosses, PhD in Environmental Studies. “On average, for a lot of products from intensive industrial farming, you could multiply by three or four the price on the label. They get generous subsidies for producing in that way. The cost of cleaning up pollution, the health costs, the economic cost when there’s overproduction, prices plummet and they demand compensation… All those costs are externali[z]ed, they’re not added to the price, but they’re carried over to your taxes. If they put the real cost on the label, these seemingly cheap products would be more expensive than organic. This needs to be said loud and clear!” ~An educator and speaker. “As for the children, their palates need educating. We don’t only eat organic, but it’s perfectly easy to go organic. It’s not more expensive. It just means paying attention to what you eat. Being aware” ~A father in the district. Bryan and I have worked on this recipe for a while. We’ve tried several different wines and think that Shiraz pairs with the Sharp Cheddar the best. As for the cheese, the sharper, the better! Garlic, butter, wine, and cheese: always a winner! First, clean your mushrooms gently with a brush or soft towel (note: you should not use water on mushrooms, as it makes them spongy; I recommend organic, to be on the safe side). If you are making Mushroom Caps, gently remove the stems and discard or sautée on the side; if you are making the Steak Topper, quarter each mushroom, including the stems. Melt butter in a large skillet over medium low heat and add minced garlic. Add mushrooms to the skillet and brown (for caps, place top side down and flip half way through cooking). Sprinkle with salt and pepper as desired. Once the mushrooms are golden brown, add the wine to the bottom of the pan, cover and simmer for 15-20 minutes. Once most of the wine has reduced, top with cheese and continue to cook covered for 3-4 minutes. Mushroom Caps are an excellent appetizer or side dish. We typically end up making them as a steak topper, as it’s a less time consuming process in the long run. The mushrooms also make an excellent baked potato topper! Bon Appetit! I used my Mom’s recipe for Chili Con Carne in our “Office Olympics” Chili Cook-Off this week and took Bronze! So, it is officially “award-winning”-ly awesome! Sauté half of the diced onion for about 5 minutes. Great the day you make it – even better the next day. Serve with grated cheddar cheese, the rest of the diced onion, sour cream if desired, a sprinkle of celery seed and red pepper flakes or Tabasco sauce. It’s also great with corn bread. I came across this website in my weekly routine of creating a meal plan. It’s created by a Registered Dietitian and has some really great ideas. It’s a good resource for those who are having a hard time coming up with simple meal ideas (especially when you’re on a shoe-string budget). Enjoy! Bryan started working night shift. This has been a total change in meal planning, sleep schedules, and social activities, but we’re thankful he has a job. Bryan bought a motorcycle to get to said job. This wasn’t my first choice for transportation for him (okay, it was probably my last choice…still kinda freaks me out each night when he leaves), but it was affordable and he seems to really enjoy it. It definitely saves on gas money, though he jokes about being a good omen for rain – ever since he got the bike, it seems like it’s dry on his days off and rains every night he has to go in. So, he really hasn’t had to ride a ton. I told him not to be surprised if I ask him to give it up whenever we have kids. He responded by telling me not to be surprised if he says no, to which I responded by telling him not to be surprised if I don’t take no for answer on this one. He just smiled, resigning to reality. I started a new job, still working for the same company, but in a different role with a lot less stress. My sister had a baby! Baby Mark is SO cute and really is a good baby! I’m so happy she gets to stay home with Mark and her two older boys Micah and Jordan for now. My brother got engaged! We finally got to meet Lissa over 4th of July weekend, and I think she’s going to fit in just splendidly. Wedding will likely be in NYC, which makes me even more excited because visiting the Big Apple is on my bucket list. I stopped doing personal training for my clients. It frees up an extra evening or two, which is ultimately supposed to give me time to study for my personal trainer certification test. Definitely still something I want to do, but I’m enjoying the break for now (though I do miss my clients). I have the materials. I just have to sit down and study now. I started blogging for Milk and Honey Organics. I get “free” produce for blogging for them, which is about the same cost/value as I got from personal training, so I pretty much come out even on this. I would love to become a blogger/editor on the side eventually and be able to come home full-time. We’re still trying to sell our house. Anyone want a cute 3 bedroom-2.5 bath home with a screened in back porch and fenced in back yard?! We have great neighbors too! Bryan’s considering another degree to become either a Nurse or Dental Hygienist. I helped hang sheet rock and install porch railings with Homes of Hope on some houses our company is helping build. Homes of Hope started as a Christian rehab organization and then the guys who make it through the Overcomers program help build homes for those in need in their local community, thus learning a trade that will help them get steady jobs in the future. It’s a really cool program! I went to TN over Father’s Day and helped Dad work on the farm (got to use the Hydraulic Wood Splitter for the first time!). I also took my oldest nephews, Micah and Jordan, with me to see “Grandpa and Grandma” and give my sister a break and some time alone with her husband and the new baby. We had a lot of fun and listened to Bullfrogs and Butterflies (Christian music from when I was a kid) almost the whole way there and back! I attempted (and failed) to fix both of our lawn mowers last Saturday. Fortunately, our neighbor was able to get one of them going (the one we borrowed from Bryan’s grandma). The other one was beyond hope, so I gave it to the neighbor to see if he could scrap some parts (he’s very handy like that). Throw in Tuesday night pizza nights, church, work, family activities, etc., and it’s been one busy spring and early summer. With all of this stuff (for lack of a better word) going on, I’ve had a harder time being in the Word. I’ve listened to some good sermons and read tidbits here and there, but I’m ready to really dive back in and soak it up again. For now, I’m going to keep going through the Psalms (with Charles Spurgeon’s help) and see where I end up. We’re also going through the Minor Prophets in Sunday School, and they’ve been a real blessing. I’m thinking of pairing my Psalms study with whichever Minor Prophet we study on Sunday, to get a broader take on Scripture. This last week was about Nahum (a prophet about whom I sadly didn’t remember much). He was a prophet of comfort to Judah, but the comfort came through the destruction of Ninevah, a city that 100 years prior had turned to God after hearing Jonah’s testimony to them, but had departed again. I’m glad that I am one of God’s people, and that there is comfort for me in this weary world too. I started mowing the lawn tonight after work and got rained out. I barely got the back yard and side strip done before the deluge hit! At least all I have to do in the morning is the front yard (that’s the easy part). Then I think I’ll go for a swim with my sister and nephews. Seems like a good thing to do on a summer Saturday, don’t you think?! So, what are your plans for this weekend? Veggies for Breakfast?! Why Not!? Go Gourmet with Omelets! Shredded carrots, chopped peppers and onions, and even sliced tomatoes go great with eggs. Spinach and Asparagus are great in a cheesy omelet too. If you’re not good at flipping omelets, try adding the same veggies to a Baked Egg Casserole. Try a Sweet Potato Pancake. Top with a dollop of Greek yogurt and honey, or you can use whipped cream and syrup if you’re more traditional. Hashbrowns with Cheese, Sautéed Onions, Peppers, and Mushrooms are fun. Top with an egg for some added protein. How about Zucchini Bread or Carrot Muffins? You can mix and match with these too. Find your favorite zucchini bread recipe and substitute carrot for all or part of the amount called for. Top your oatmeal with some Pumpkin Puree, Honey, and Cinnamon! When I travelled in Eastern Europe one summer, we often had open sandwiches for breakfast, which included various deli meats, cheeses and vegetables. My favorite was the cucumber, dill, and cream cheese on toast combo. Other veggies work well too. Try some Neufchatel and chopped veggies on a whole grain toast (think veggie pizza: carrots, broccoli, tomato, peppers, etc.). A traditional Persian breakfast is warmed pita with butter, feta cheese, mint, and sliced radishes. It sounds strange, but it’s oddly refreshing. Italian leftovers are quick and fun (and tomato sauce counts as a vegetable too)! In Egypt, whole wheat pitas with falafel (made with fava beans), pickled vegetables, boiled eggs and cheeses are popular. In Japan, a typical breakfast would include miso soup, rice porridge, fish, and pickled vegetables. When all else fails, make a smoothie. Smoothies are a great way to sneak vegetables in to the beginning of your day. A handful of spinach or kale, a cup of carrot juice, or even some sliced beets. Carrots and beets are naturally sweeter vegetables and blend nicely with berries. Leafy greens hide well too and give it a fun green color that kids like. Whatever you do and however you add veggies to your meals, be creative, have fun, and enjoy! Don’t be afraid to try a strange combination; you never know what might be the next big food craze!